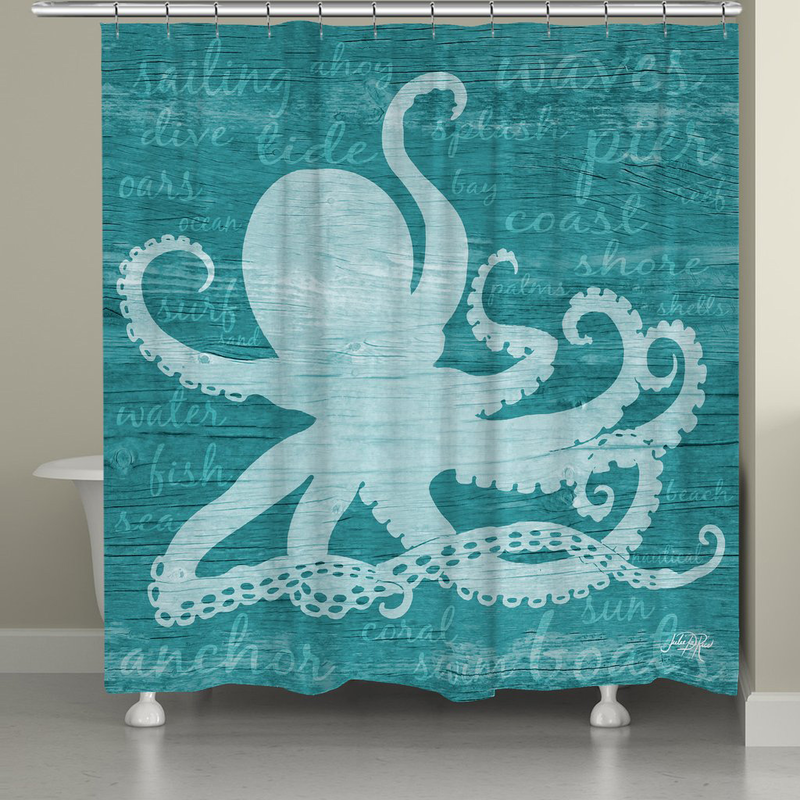 Add luxury to your bathroom with the Aqua Octopus Shower Curtain. This beach shower curtain is accented with a flowing octopus and script, coastal-inspired words on pretty aqua for true beach style. Ships from the manufacturer. Allow 1 to 2 weeks. Cannot express ship. For more pieces, we encourage you to take a moment to check out our extensive collection of beach shower curtains at Bella Coastal Decor now.